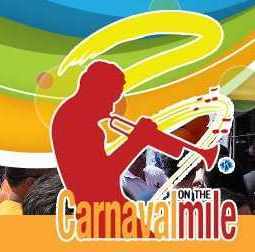 This weekend head to Coral Gables’ Miracle Mile for the annual Carnaval on the Mile. This free event covers a two-mile stretch of Miracle Mile and is an art and music festival. It is this Saturday and Sunday and is from 10 a.m. to 10 p.m. both days. There will be three stages packed with 36 live musical groups. You can catch performances on the stages set up on JeJeune Road, Douglas Road, and Ponce Circle Park.